Four Adidas AM4 collabs dropping throughout the month. 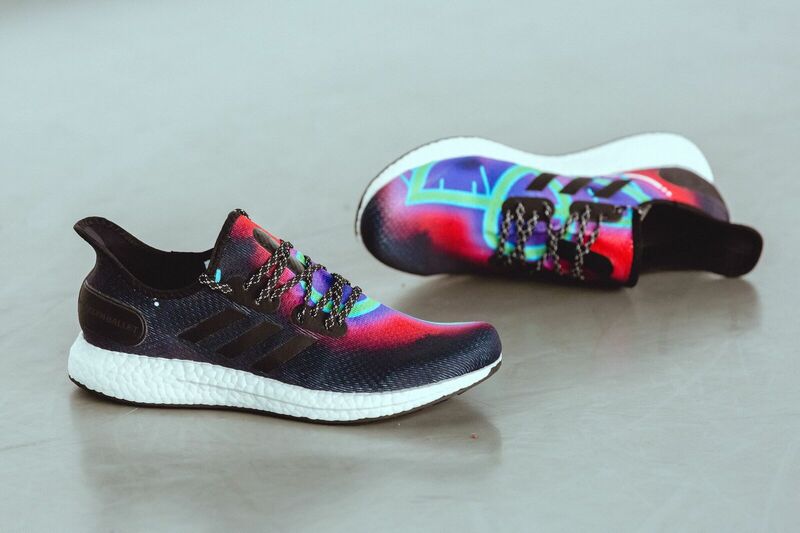 Adidas has today introduced all-new line of AM4 (Adidas Made For) running sneakers inspired by local LA and NYC creators. 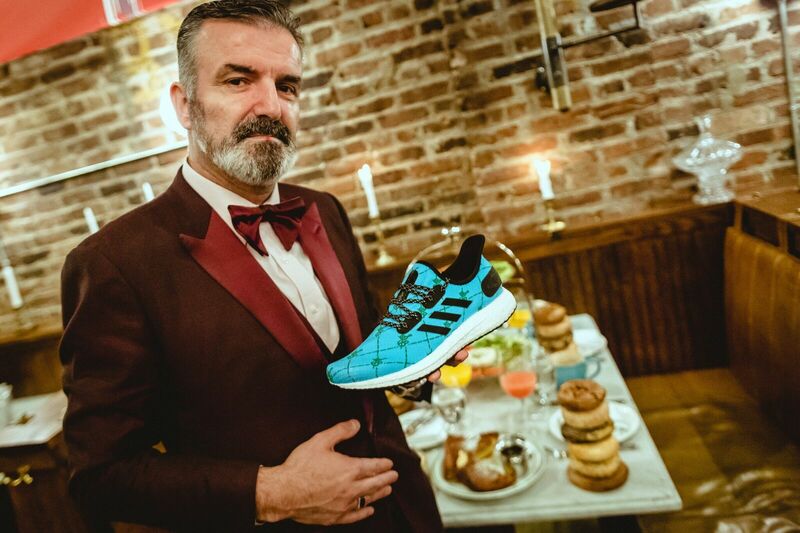 The latest AM4 running shoes, equipped with the beloved BOOST cushioning, are the result of collaborations with Kwasi Kessie (Celebrity stylist and adidas Runner’s NYC Captain), Aaron Kai (LA artist), Sadelle’s (NYC brunch hotspot) and Brooklyn Ballet (professional dance company). Listed below are the description and release details for all four collaborations, according to Adidas. AM4 "KWASI" is inspired by Kwasi’s childhood growing up in Harlem and becoming a sneaker connoisseur. 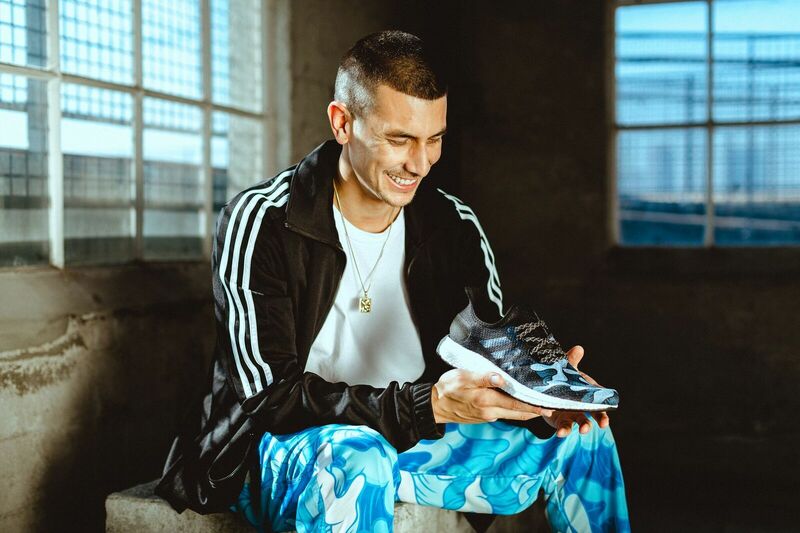 Fashion and running have changed his life so this shoe pays homage to the intersection of fashion and running in the streets of NYC. Starting December 8, the shoe will be available on adidas.com and two adidas stores in NY (5th Avenue and SoHo). AM4 "SADELLE’S" is inspired by the ethos and luxury of the NYC restaurant hotspot without being too over the top. From the colors that were used to the chained logo, everything about the shoe gives the impression of being high-end but still something that is versatile enough to be worn all day. Available for purchase on adidas.com and two adidas stores in NY (5th Avenue and SoHo) starting December 20. AM4 "BROOKLYNBALLET" is inspired by one of the signature black graffiti tutus from The Brooklyn Nutcracker. The mix of classic and contemporary mediums in the design represents much of what Brooklyn Ballet is about. Starting December 15, the shoe will be available on adidas.com and two adidas stores in NY (5th Avenue and SoHo). 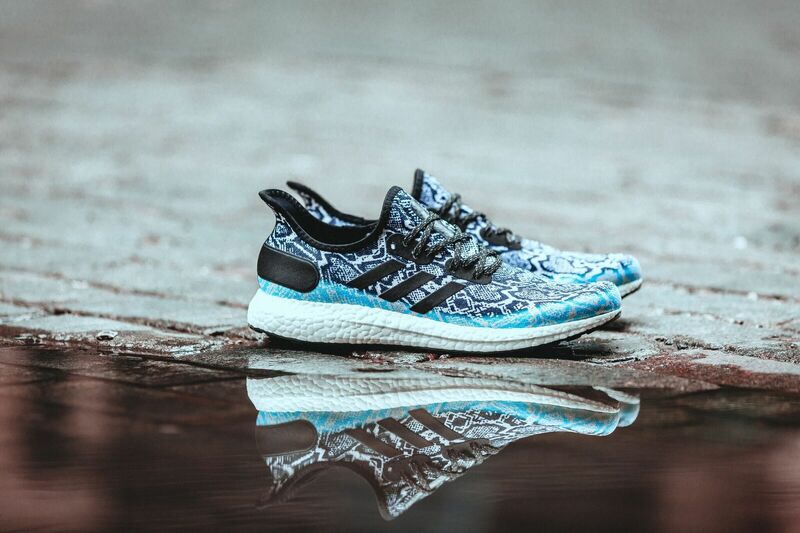 AM4 "AARONKAI" is inspired by the time Aaron has spent in Hawaii and LA connecting with the beaches and surf culture, as well as his famous wave-inspired mural that has influenced much of his artwork. Starting December 8, the shoe will be available on adidas.com and two adidas stores in LA (Santa Monica + Century City).